James Andrew Gefre, age 81, passed away peacefully on November 13, 2017, as he was surrounded by his family. Known to many as "Jim", he was loved by all those who were graced with his presence. Jim was born in Minneapolis, Minnesota to Marcella Kunz Gefre and Fred Andrew Gefre. He is preceded in death by his parents: Marcella Kunz and Fred Gefre, brothers: Edwin (Ed) and William (Bill) and sister Joyce. Jim is survived by his beloved wife of 54 years, whom he met in the Philippines, Esperanza "Espe" of Raleigh, NC; son(s) Fred and wife Abigail, Grandkids: Amethyst and Forbes of Minnesota, James and wife Geraldine, Granddaughter: Kathryn of Minnesota, John of N.C and his only daughter Maria Gefre. He attended high school at Columbia Heights in Minnesota and graduated in 1954. He went on to engineering studies at the University of Minnesota, the United States Air Force and at De La Salle University in the Philippines. 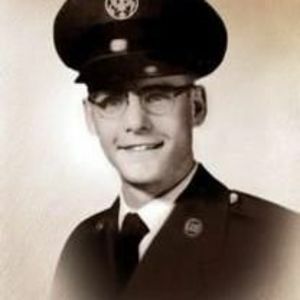 He served our country in the United States Air Force as a Radio and Telecommunications Specialist, which he built into an accomplished career in the telecommunications industry that spanned four decades. Jim traveled extensively for business and pleasure throughout Asia, Africa, Europe, North and South America, the Middle East, and Australia other than Antarctica, which we are sure he would have wanted to visit if he had a chance. He loved to share his adventures and fascinated people with his countless stories. With a great sense of humor and a zest for life, he was a laid back gentleman who seemed reserved and quiet to most, but he was a very outspoken, kind- hearted, loving man who touched so many lives with his benevolence. He was always eager to help anyone in need. He was also a huge contributor to causes and charities. He certainly was a man of great character and integrity. Jim was an avid reader of novels. He was known to be a "jack of all trades" who loved to tinker with anything. He could either fix it or make it. A pure hobbyist, he had a deep interest in collecting and restoring vintage automobiles. Athletic in his earlier years, Jim played International Rugby in his pastime while in the Philippines. He took up competitive Darts and proudly won a few trophies. He was a fan of American sports, baseball, basketball (the NBA) and football. It was also discovered that he was an impressive "secret gardener". Jim loved classical and country music. Surprisingly, Jim had extensive knowledge of the Bible, which not very many people knew about. Last but not least, he had a passion for adopting shelter dogs and considered the pets his children. Above all, nothing was dear to his heart than spending time with family and friends. There is not enough time in the world or words to best describe Jim; however nothing best describes this handsome "Ol' Blue Eyes" ( his wife's term of endearment ) other than he will be deeply missed by those who loved and cherished him the most. Condolences may be written on James Gefre's online guestbook at www.brownwynne.com. The family wishes to extend their gratitude to his Cardiologist team, Dr. James Mills and Dr. Jackson, Dr. O'Rourke and Duke Raleigh Hospital ICU unit for their support in his final days. Deepest gratitude to everyone who sent love, prayers and reached out to the Gefre family.